The PN-ZB03PC is a powerful single board PC built into the Mini OPS form factor. It features a compact, powerful and high quality solid-state design with the latest generation of low energy Intel Celeron processor. Easy installation ensures a true "Plug and Go" experience with fast user setup. The PN-ZB03PC is the perfect choice for a tidy and cable-free PC integration within a Sharp monitor. The powerful graphics chipset supports up to 3840 x 2160 video output at 30Hz. 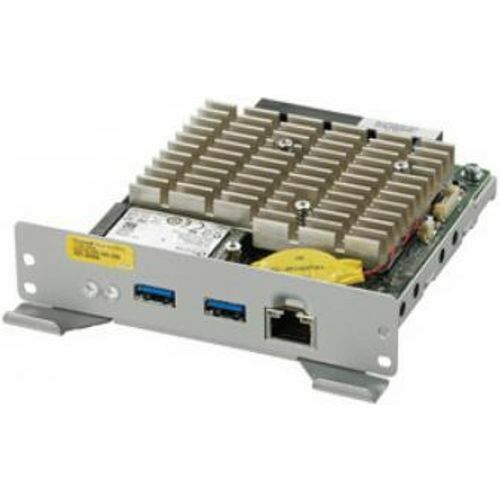 With a fanless design, solid state hard disk (SSD) robust construction supporting a wide operating temperature range the PN-ZN03PC is a reliable, 24/7, professional-grade PC. The PN-ZB03PC is designed for any Sharp display having the Mini OPS Extension slot and is suitable for digital signage, presentation and many corporate office applications.